Well after owning the Jeep for an intire week, I order wheels, tires, bumpers, and a lift for it. Might as well just dive into the modifying, right? 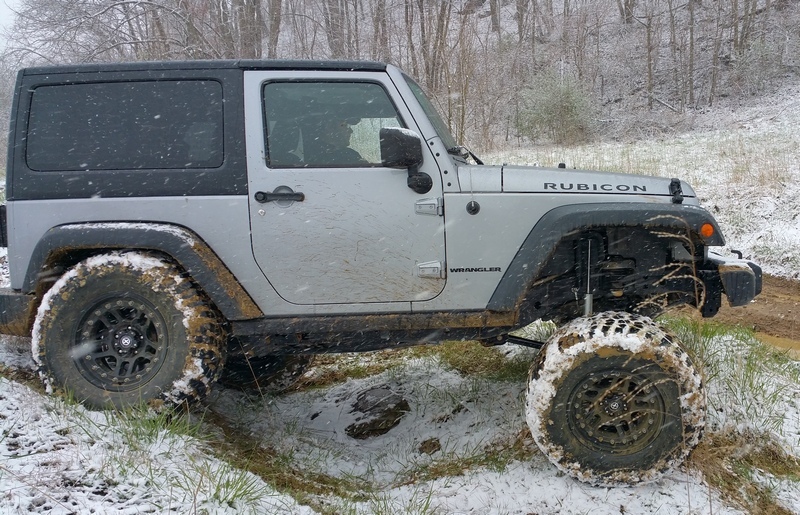 I decided to go with a Rock Krawler 2.5″ Flex Lift Kit . Everyone seems to like their lifts and i thought it was a good starting point. It includes most of the parts you really need but also lets you upgrade the addition parts over time. I plan on eventually upgrading all the control arms to Rock Krawlers, and posibly the steering. 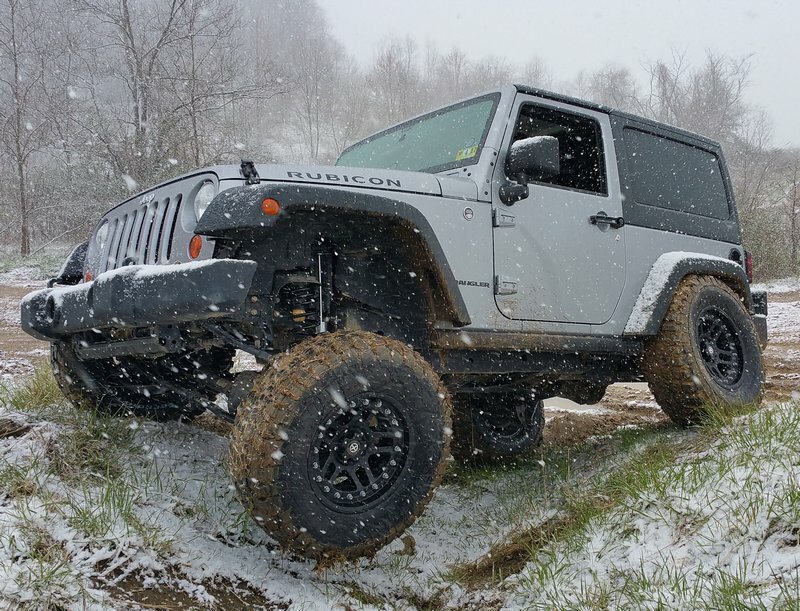 I ran 33″ KM2s on my last TJ and they had impressed me, so I decided to run 35×12.50 KM2s on the JK. The wheels are 17×9 American Racing Cornice A195 with 4.5″ backspacing. Out of curiosity, I weighted the stock wheels and tires and the new ones. Stock were 72.5 lbs. the new ones were 97.5 lbs. For the most part the install went pretty smothly. I have installed several lifts so I knew what to expect, though there are a few differences since this was my first time working on a JK. Rock Krawler was also very helpful when I called with questions about the parts and installation. I was missing a couple small parts and they were quick to get it taken care of. I would not hesitate to deal with them again, great company. This kit does not come with extended brake lines for the rear, it seems to me under full droop they are going to be quite tight though, I will know more once I give it a shake down run. one thing I would recommend is popping the e-brake cables out of the bracket thats mounted under the body. This lets them have alot more slack on them. I wasnt sure how to route the front extended brake lines and ABS sensor cables. I know braided steel brake lines perform well and are tough, but I am not a fan of how stiff they can be, and how they resist twisting. You have to be careful they dont coil out into the tires. 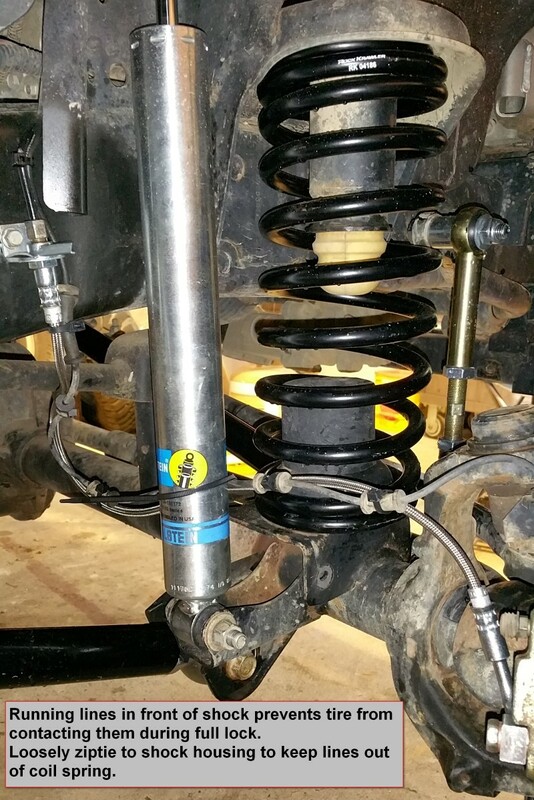 I tried a couple different ways of routing them and noticed that running them behind the shocks gets you the most length out of them, BUT you run a huge risk of the tire contacting them under full lock. I ended up running them between the shock and coil spring, similar to where they stock ones ran. I dont think you can use the stock bracket though, that would hold them down too much and you wouldnt get the length you need. I loosely ziptied the lines to the shock housing to prevent them from getting into the coils. 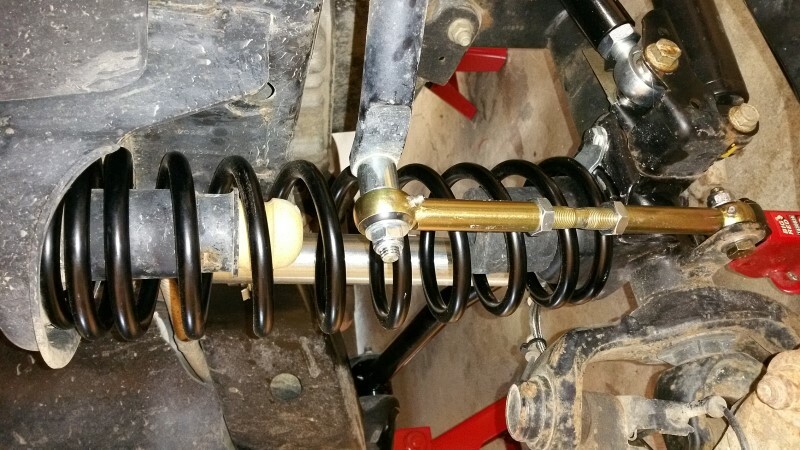 On my previous TJs I had some issues with coil springs coming unseated and popping out during extreme flex. I am not a fan of using limiting straps to limit the amount of travel and flex you have. So this time around I used spring retainer clips which should help. Though it should be as much of an issue this time around since I have a bumpstop on the bottom of the front coils. Rock Krawler calls for 2″ bumpstops for this lift, I couldnt find any that size, the Teraflex ones I have installed on the front are 2.75″. I will run these for now and see how they do, I can always take them back out and cut them down some. 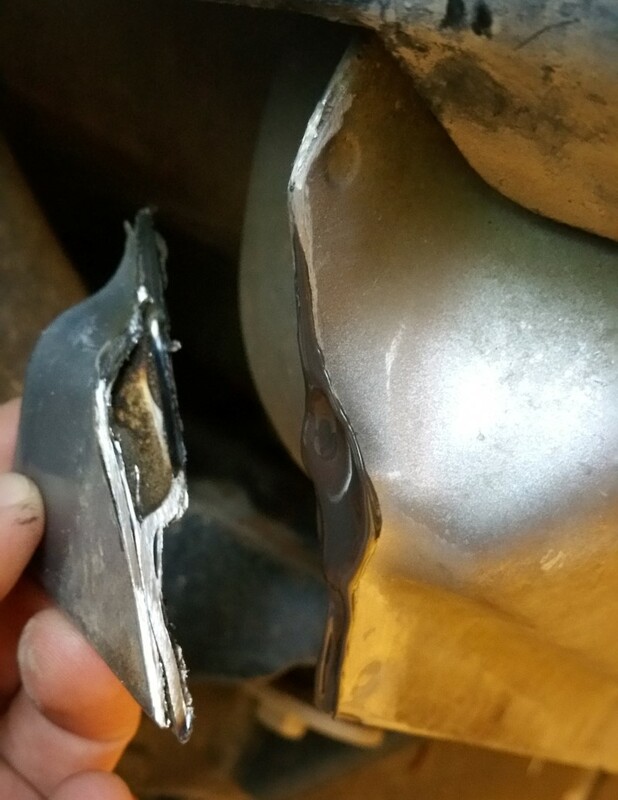 The other thing you have to be aware of is the “pinch weld” in the rear wheel well. Sometimes you can get by with running a 35″ tire and sometimes you cant. I didnt want to take the chance, so I decided to go ahead and trim it. Its little design flaws like this that frustrate me with vehicle manufactures. 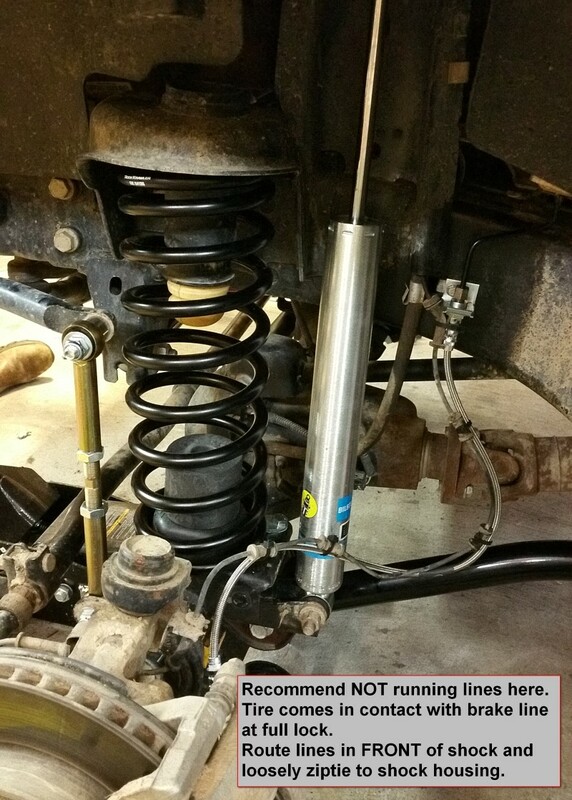 Especeally with a Jeep, they know people are going to be running larger tires, think ahead and watch for things like this. As you can see, the body of the Jeep comes to a point at the front of the rear wheel well. This can come in contact with the tire, which would be bad news. 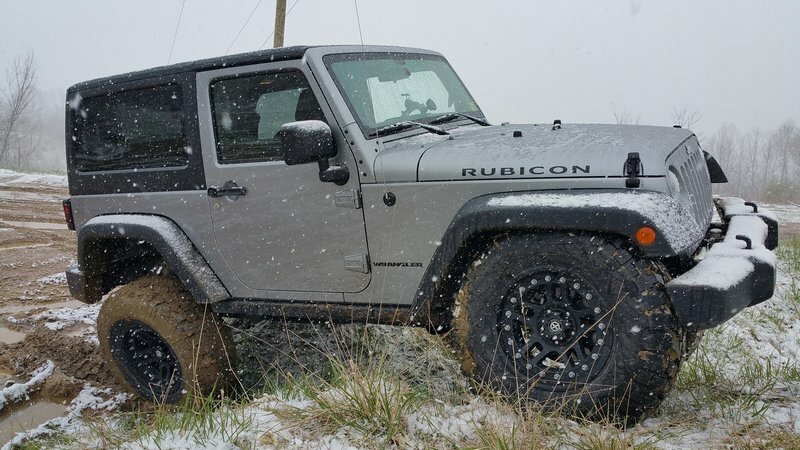 Since I have a Rubicon, I have factory rock rails, which again, they should have thought ahead, they also come back into the wheel well some. So I decided to trim them also. Not a huge deal, they are hollow with a plastic end cap. You can cut them and pop the cap back on. The pinch weld you need to seal shut again once you trim it. Most people use some JB Weld for this. I cleaned the edge with alcohol and applied some JB Weld, it seemed to seal up and adhere well. You will notice there are 2 spot welds, try not to cut those off, you can see I cut just outside of them. 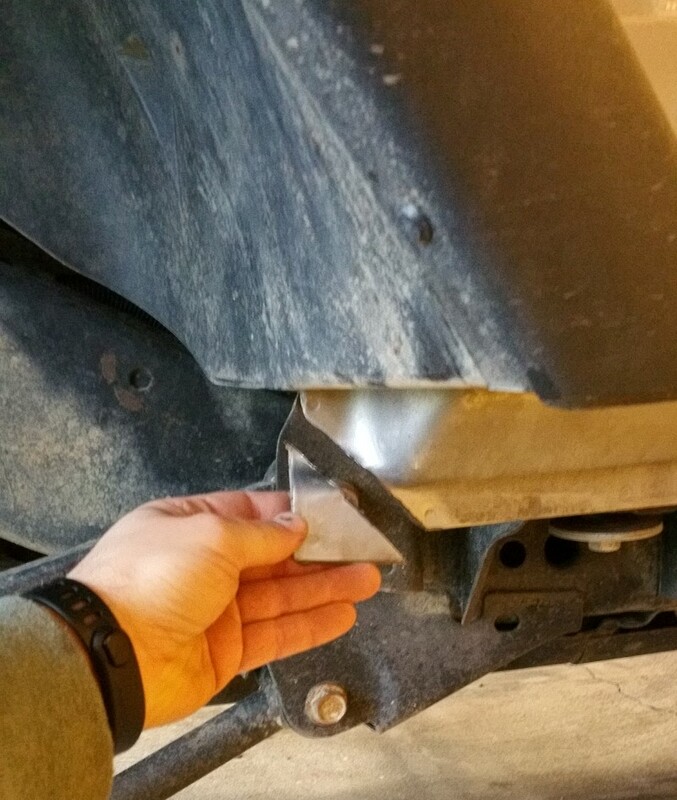 I have read that Jeep has redesigned this pinch weld on the 2014+ JKs, so you may not have this issue. 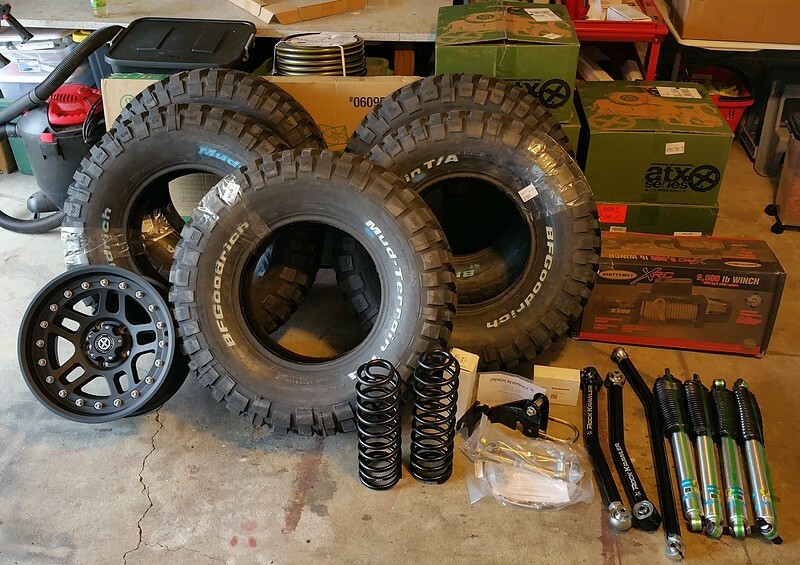 The last step was to put the new wheels and tires on, set the Jeep back down to the weight was on the axles, and really crank all the bolts tight on the new suspenion components. 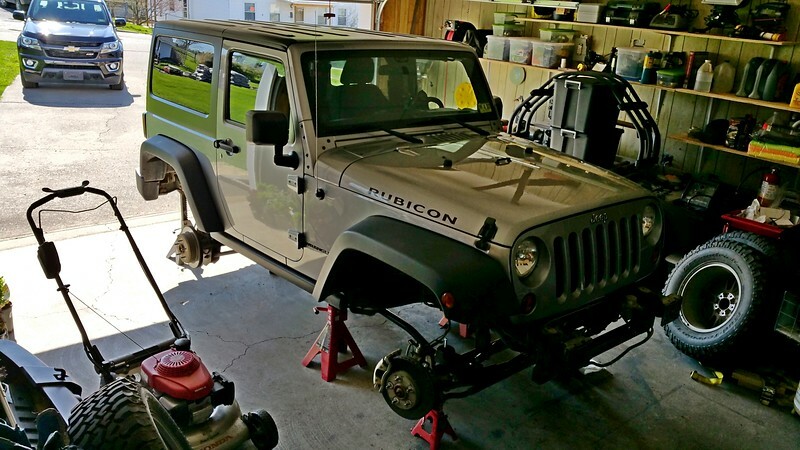 I find its best to sung everything up when you put it together, but wait will the Jeeps weight is on everything before you really tighten everyhing good. I was pretty pleased with how the Jeep rode with the lift installed. I would say its slightly stiffer than stock, but not by much. The Jeep should also ride better once I have the weight of the aftermarket bumpers and winch on it. I also think the gearing on my 6 sp. manual with 4:10 gears is perfect now. Just like my 05 TJ Rubicon, in stock form I though that 1st gear was a bit low for typical driving, but starting out in 2nd was just a bit too high. With the larger tires it feels perfect. Plus the 3.6 Pentastar engine still has plenty of power even with the larger and heavier tires. My best guess is that I will have added about 400 lbs. to the Jeep counting wheels, tires, lift, bumpers, and winch. Actually just the few miles I have put on it have it riding a bit better, the Bilstein shocks are breaking in well. The brake lines did just fine, front and rear still had slack, though the rear didnt have much left. Front tires rubbed on the bumper a good bit when stuffed, but that doesnt matter, new stubby bumper is on the way. Here are some measurements I took before and after the lift. Measurements after are with no spare tire and stock bumpers. These lifts are designed for Jeeps with bumpers and winches, so it will be sitting high with stock bumpers and no winch. 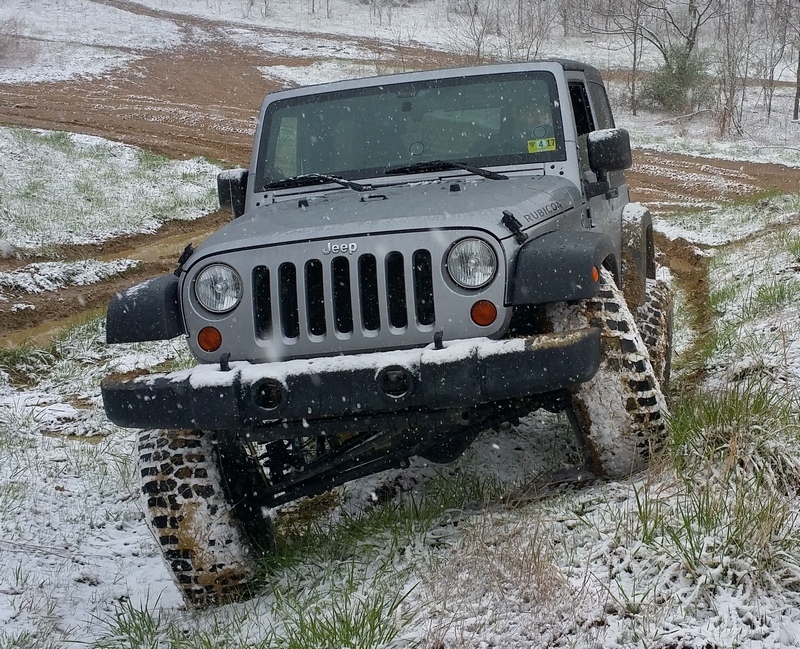 I figure with bumpers and winch, and some settling over time it will be sitting 3/4″ to 1″ lower. But this should give you an idea.